Satellite of University of Chile for Aerospace Investigation. 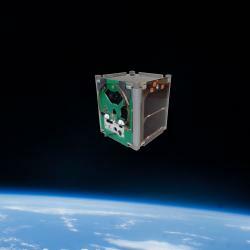 SUCHAI is the first chilean CubeSat developed by undergraduate students, engineers and professors of the Electrical Engineering, Physics and Mechanical Engineering Departments at Faculty of Physical and Mathematical Sciences (FCFM) at University of Chile. It has three main goals (1) Generate advanced human resources, (2) Create space technology in our country and (3) serve as a vehicle to carry scientific experiments to space. 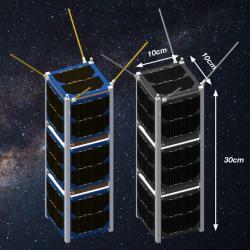 Two 3U Cubesats that will be used for scientific exploration. Founded by the Chilean Government. It has a planned end date for 4Q 2018. Payload for SUCHAI 2 and 3 to test novel high-bandwidth intersatellite communications based on mmWaves, designed to be used in future cubesat constellations expanding the capabilities of this small satellites. Payload for SUCHAI 2 and 3 that will measure the plasma of the ionosphere. This sensor is the most common sensor for plasma diagnostics in space and laboratory. This sensor consists in an electrode with a fixed or varying potential able to determine in-situ the ionospheric plasma characteristics. 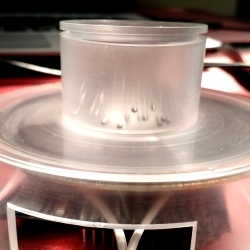 The current measured by the probe is ploted in a current-voltage (IV) curve, allowing determine electron and ion densities, and electron temperatures. Device part of the Attitude Determination and Control System (ADACS) of a nanosatellite that will help to determine the spacecraft position using the stars. Novel payload architecture for payload and bus operation. The main purpose is to develop a new architecture that allows to create a standard platform for an easy and fast way to put a payload onto a nanosatellite bus. 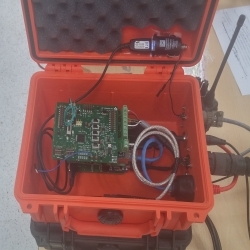 As a test case, a PCB with an integrated microcontroller that acts as an interface between each payload and the main satellite controller is under development to integrate the microgravity granular gas experiment. In this paradigm, scientifics and payload developers won't need to know too much about the bus implementation to program a successful payload. Flexibility, encapsulation and code reuse are exploited as much as possible in this environment. 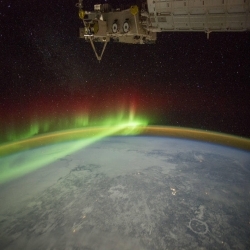 Embedded experiment to study the properties of a dilute granular gas in microgravity. This experiment is one of the main SUCHAI 2 and 3 scientific payloads. The objective is to measure the collisions between 0.1 mm diameter particles inside a plastic tube while a shaker transfers energy to them. The two principal advantages of this experiment among others, is that it provides real data (no simulation) of a granular gas where the inellastic collisions are the only interaction mechanism between the particles and the other one is that the amount of data is much greater than other microgravity experiments done on Earth such as experiments over parabolic flights. 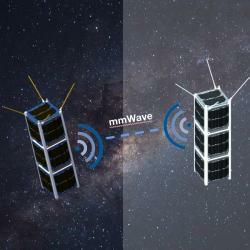 They are satellites even smaller than the nano-satellites, with a mass of less than 100 grams. Multiple femto-satellites can be transported inside a cubesat and deployed later in orbit, creating a low cost sensor network in space. One of the goals is to estimate the position of these femto-satellites referenced to Cubesats with known positions. 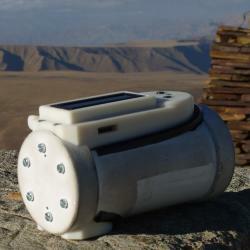 Low cost sun photometer for aerosol optical depth measurement. Its objective is reduce this instrumentation cost substantially to enable high density aerosol monitoring inside a city-sized scale. This information could greatly improve our comprehension on air aerosol dynamics providing valuable information to improve atmospheric dynamics models, satellite instrument calibration and long term monitoring. Currently stage one of this project is finished with the correct development and validation of a low cost hand held sun photometer. 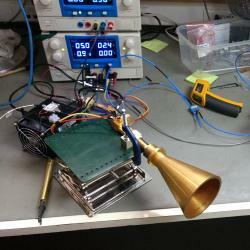 The new objective is to automatize such instrument to achieve long term measurements. This projects consist in the development of a Cloud Radar prototype to prepare advanced human capital able to design these instruments and interpret accurately the atmospheric measurements done with radars. This instrument is very useful in improving the understanding of the conditions that drive fog behavior since they enables the remote profiling of fog water content and droplet size, among other parameters. A better comprehension of the processes that drive the fog would be very useful to improve safeness in susceptible streets and airports. In addition, in desert areas of Northern Chile, fog is used as a significant source of water for native vegetation and populations located in remote areas (for example the Camanchaca in the natural reserve Fray Jorge). Considering the global phenomena of climatic change, an improvement of the models regarding fog properties could give us valuable information about what to expect of the cloud and fog water supply in the coming years. 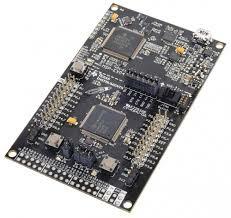 This project is being developed in collaboration with the Millimeter Wave Laboratory of the University of Chile. Primarily developed for seismic tomography, this signal recorder is capable of digitalize, synchronize and save to disk (MSEED, ASCII formats) signal samples from different sources. It is based on low cost and COTS products.